Perfectly styled rockstar hair starts with the right styling products. You were born to rock your curls. What better way to show them off than in a faux 'hawk that will turn heads every time you enter a room? 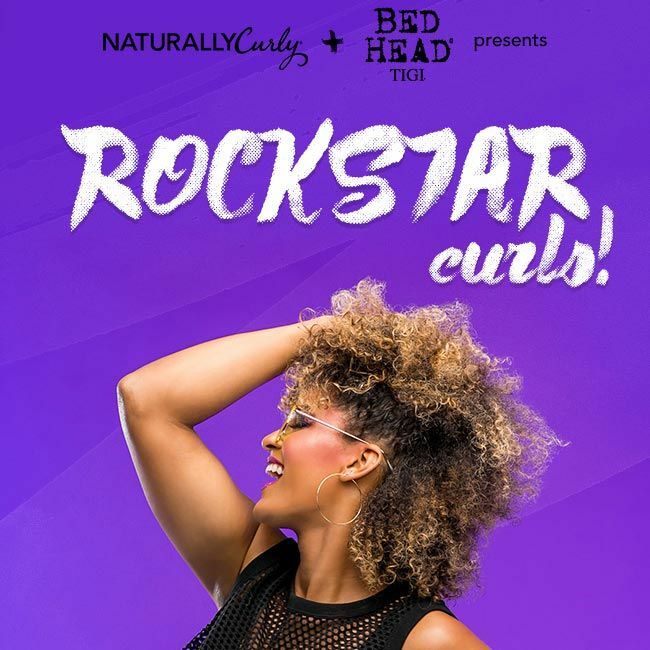 Professional TIGI Stylist Phillip Downing and the TIGI team partnered with us at NaturallyCurly to create the perfect, easy-to-'do hairstyle that you'll want to rock all year long! Calma Sutra Cleansing Conditioner - The day before you style your rock star look, wash your curls with this cleansing conditioner to prime for styling. Screw It Curl Hydrating Jelly Oil - The day of styling, saturate those curls from mid length to ends with this hydrating jelly oil. From here, follow the instructions seen in the infographic! Foxy Curls Extreme Curls Mousse - The mousse layers perfectly on top of curls. Once hair is completely layered, air dry or diffuse. Get Twisted Anti-Frizz Finishing Spray - To hold the look in place, spray curls for a look that dazzles! All listed curly hair styling essentials a salon exclusives, but we know that you want them right now. That is why TIGI is giving you an exclusive offer to purchase these powerful stylers at SHOP NaturallyCurly! Give your curls that one-of-a-kind star treatment with these TIGI salon exclusives now! Do you love this super cool rock star faux hawk? Then keep up with NaturallyCurly and TIGIfor more stunning looks!